Plus a Disifin animal 500ml UV spray bottle. “A SAFETY CLASS OF ITS OWN”. 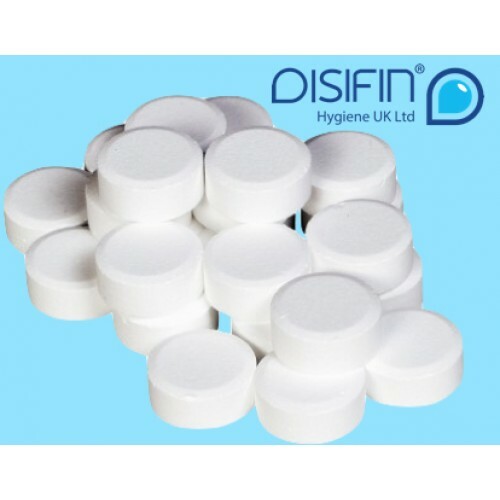 Disifin Animal disinfecting tablets for surface disinfection in the veterinary field application, such as Pet Shops, Veterinary Labs & Clinics, Aviaries, Kennels, Farms, Zoo’s, Equestrian and for home disinfection on Drinkers, Toys, Carpets and all types of animal cages. 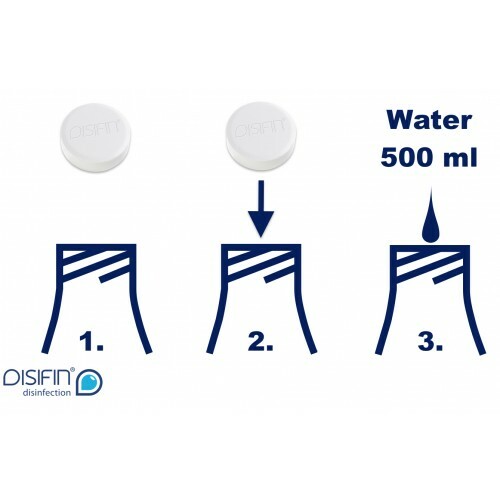 Disifin is simple and safe to use, the tablet dissolves in water (warm) and immediately produces a ready to use, highly effective and long-lasting disinfectant solution, that lasts up to 8 weeks in our UV protected spray bottle. Disifin can be used safely on any surfaces like wood, glass, metal, fabric and rubber including polycarbonate without any adverse effects. This is one of the many reasons why Disifin has become a market leader in disinfection. One Disifin tab dissolved in 500 ml of water produces a 0.5% disinfectant solution for routine disinfection. Alternatively, for faster disinfection, simply increase the concentration. Please, refer to our Disifin Tabs exposure time document and SDS. 500 ml DISIFIN® UV Protected reusable spray bottleJust add 1 Disifin tablet to bottle to make a 0.5%..